to read on the last page and then backwards. Each page I read up to now is a self-contained chapter which makes reading backwards easy. This book is an absolute MUST READ!!! in great detail and few words at the same time. Almost as crystal clear language as MK! This book BOILS EVERYTHING DOWN TO THE ESSENCE!!! "Read this book and the World will never again seem the same"
have been conspiring successfully to dupe the "goyim" in exactly the same way since at least 200 years. Arthur Cherep-Spiridovich (1858 – 22 October 1926) was a Russian count who moved to the United States following the Bolshevik Revolution. He was a Tsarist general and white Russian loyalist. He was involved in Pan-Slavism, White Russian and anti-semitic activism, including various chivalric orders and cultural organisations, amongst the diaspora community in America. 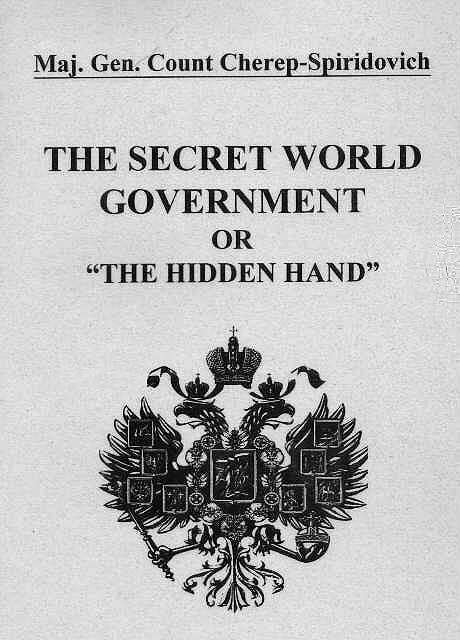 Spiridovich is perhaps best known for authoring a book positing a concise conspiracy consisting of 300 Jewish families, titled Secret World Government or The Hidden Hand. Cherep-Spiridovich died in a Staten Island hotel, with a gas line pipe stuck in his throat. The police reported that he had committed suicide. However, when the body was discovered at the hotel by the staff, the gas line was shut off. No autopsy was performed and no further investigation put into the case. .... and all subjects related to the current situation. Last Edit: 08 Jul 2017 10:01 by PFIZIPFEI. but as a devoted Tsarist this was his natural and primordial impetus to write this most revealing book. to divert from the real conspirators. on any alternative website in this clarity. communication, but in this case it's worth the effort. Last Edit: 08 Jul 2017 11:12 by PFIZIPFEI. One of the most hidden aspects of the history of the last 350 years is the impact of the Shabbetian Messianic movement. It was led by Shabbetai Tzvi starting June 6, 1666 (6666). Tzvi convinced, perhaps, half of world’s Jewry at its peak that he was the true messiah. A vast Sabbatian movement promoted the Messianic ambitions of Tzvi, who only recognized the sacred book of Kabbalah, the Zohar and rejected the Torah and Talmud. The Sabbatian Luciferian phenomenon was kept alive through the centuries with great help. In the 18th century, Jacob Frank reintroduced Sabbatianism to Europe en route to America and Palestine. Although Jewish scholars have dissected Sabbatianism and Frankism, little of it is known to the outside world. Rabbi Marvin Antelman believes the movement lives on at least in spirit and refers to today’s believers as “satanic Sabbatian Frankists.” The article that follows uses Antelman’s book, “To Eliminate the Opiate,” as the primary source to document these events. Secularist historians, on the other hand, have been at pains to de-emphasize the role of Sabbatianism for a different reason. Not only did most of the families once associated with the Sabbatian movement in Western and Central Europe continue to remain afterward within the Jewish fold, but many of their descendants, particularly in Austria, rose to positions of importance during the 19th century as prominent intellectuals, great financiers, and men of high political connections. One has to wonder what insanity was inside the minds of Jews that would cause so many to buy into this nihilist cult. In addition Sabbatians and Frankists practiced inbreeding which surely didn’t help with any tendency towards psychosis and neurosis. In his day, over a million Jews from every walk of life proclaimed and hailed Tzvi as their deliverer. The movement rejected the Talmud, and completely rejected the ethics and morals of Torah Judiasm. They conspired with the Illuminati with goals of destroying all religions and fusing all nations into one. Gershon Scholem has traced the incestuous practices of the Sabbatians to that of Earth Mother worship. The Frankist “believer” had an inverted, deceptive belief system. One must not appear to be as they really are. The last belief justified its followers’ pursuit of the double lives they led. One could appear to be a religious Jew on the outside and, in reality, be a Frankist. The Dönmeh officially converted to Islam but remained (hidden) crypto-Jews. Similarly so, the many Frankists who officially converted to Catholicism. For the Frankist, anarchic destruction represented all the Luciferian radiance, and “great is a sin committed for its own sake.” The Frankists taught that their Four Godheads represented the major religions that needed to be destroyed: Elijah represents the ultimate Messiah, which is reached by starting with Judaism, represented by Jonathan Eibeschutz; going on to Islam represented by Shabbetai Tzvi; a the last portal represented by Frank in Christianity. After the revolution, comes Big Brother, who rules the earth. The Frankists enticed women to leave their husbands and to join their orgies. Families were broken up by the hundreds. This is even more amazing considering the strong family life that characterized the Jews in the communities of Podolia, Moravia, Poland, Hungary and Romania at that time. In 1752, Frank married a Bulgarian Jewish woman named Channa. She was very beautiful, and he utilized her, as was the custom among members of his sect, to ensnare hundreds of men who had licentious affairs with her to build up the strength of his sect. In 1755, Frank returned to Poland, where he associated with the Sabbatian leaders of Podolia and visited and expanded Jewish communities that had been known for their heretical leanings since the beginning of the 18th century. After Frankists burned copies of the Talmud and accused Jews of ritual murders, the rabbis had seen enough. In 1756 in the city of Satinow, rabbis formally excommunicated Frank and all of his followers. They prohibited intermarriage with any members of the sect. Rabbi Jacob Emden (1697- 1776) wrote in a letter that it was forbidden for anyone to have mercy on them. Divorced from traditional Judaism, a group of Frankists in Europe converted to Catholicism in 1759. But a year later, Frank was accused of heresy and was thrown into the Citadel of Czenstokova. Frank lived comfortably at the monastery for 13 years. Frankism was coined in early 19th century and was initially a slur directed at the descendants of Frank’s followers who converted to Roman Catholicism and attempted to conceal their background. According to contemporary accounts, the Warsaw Frankists were at 6,000. It was put at 24,000 in the whole of Poland. The cultists were said to monopolize certain trades and professions, including lending, brothels and alcohol. This factor led to many conflicts between Polish burghers and the Frankists. In Polish brochures and pamphlets published in Warsaw in the 1790s, the Frankists were portrayed as neither Jewish nor Christian (religious chameleons) and were characterized as managing to escape the control of both Jewish and Polish authorities. After the rabbis succeeded in reducing the sect some, Frankists turn up in Moravia and Vienna. There was already an influential clan in Prague that pre-dated Jacob Frank. For reasons not adequately explained by Rabbi Antelman in his book, many of the Frankist families at this time were wealthy elites. Our theory is that their low morals and evil intent allowed them to move aggressively into the lucrative vice trades which more traditionally religious peoples avoided. Additionally, because many were now “officially” Catholic, they were able to join or form Masonic lodges where they liked to plot and conspire. In particular, the elite Frankist inbred families operated out of the Mason Order of Asiatic Brethren in Vienna. More lodges were opened in Hamburg and Berlin. Even gentile Masonic lodges were very amenable to Jewish converts to Christianity, especially among men of means (crypto-Jew Frankists) who could grease palms and provide sexual favors. This led to a path of infiltration and of course compromising control. After his release from the citadel, Frank moved to Brno, Moravia, to hang out with his brother, who was the head of the large Dobrushka family. Jacob Frank even adopted that name. They were Frankist loyalists. The family included eight sons. Two who changed their name to Frey were leading Jacobins in the French Revolution and were guillotined when the Jacobins were removed. Frank resided for 13 years in Brno. His brother Solomon (1715-1774) held both the lucrative potash and the tobacco monopolies in Moravia. Though they had a tendency to inter-marry and inbreed within their own group, the elite Luciferian Frankists had no problem strategically assimilating with select wealthy Catholic families. Indeed, by all accounts, they were gold diggers and seductresses who also had money in their own right. Frank’s own daughter Eva slept with Crown Prince and future Emperor Joseph II in Vienna, where for a time Frank was welcome within the court. Besides the sexual servicing of Joseph II, the Hapsburgs thought he could be useful in converting and assimilating Jews. Frankists also freely held both Jewish, Catholic or Islamic names. Sabbeatians and Frankists epitomize the term “crypto-Jew.” As time went on, Frankism became more of a predatory psychopathic belief system and excuse to sin and indulge than anything else. Eight Dobruskas “officially” converted to Christianity and six were ennobled. One of Solomon’s granddaughters, Francesca Dobrushka, married into the Hoenig family, later ennobled as the von Hoenigsbergs. The Hoenigsberg family acquired most of its wealth as descendants of Loebel Hoenig who, during the Austrian secession of 1740-1748 and the Seven Year War of 1756-1763, accumulated a fantastic fortune as a supplier of the Austrian army. Loebel’s eldest son, Israel Hoenig (1724-1808), achieved control of the Austrian tobacco monopoly. Other prominent Sabbeatians were the Wehles family of Prague. One, Gottlieb Wehle, came to the United States with a large constituency of Frankists from Bohemia and Moravia after the Revolution of 1848. One member of this clan was Louis Brandeis (1856-1941), the Supreme Court Justice and ardent Zionist who was instrumental in promoting the Federal Reserve Bank. Supreme Court Justice Felix Frankfurter is reported to have received a copy of Eva Frank’s portrait from his mother, a descendent of a Prague Frankist family. Isaac Daniel Itzig of Berlin also had Frankist familial connections. He ran the Press of the Jewish Free School, which in 1796 changed its name to the Oriental Printing Office, considered to be a powerful instrument of “cultural reform” and intellectual precursor to the Frankfurt School. Rabbi Antelman labels Itzig as an earlier Communist. In fact, Antelman documents a theory that holds that proto-Frankists were the vanguards of the Marxist-Communist philosophy. 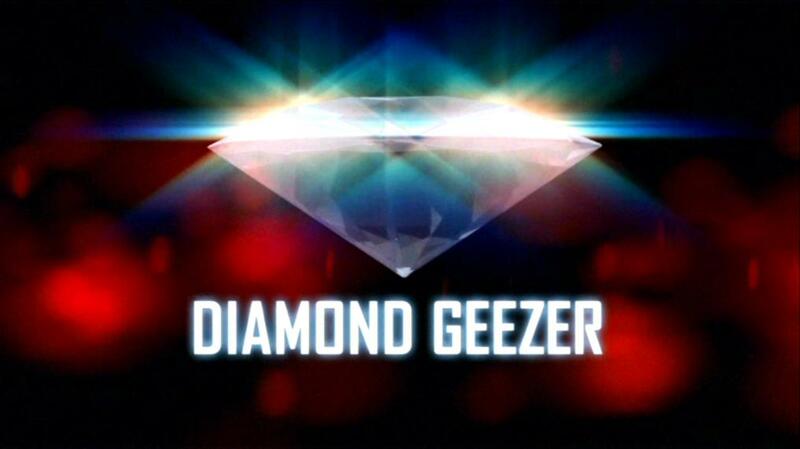 Itzig’s father Daniel aka Daniel Yoffe was financial adviser to King Frederick William II of Prussia who, when he was crown prince, was a member of the Berlin llluminati. Itzig (1750-1806) was a purveyor of silver to the Royal Prussian mint. Along with banker-merchant H. Ephraim during the Seven-Year War, he issued debased coinage that not only contributed to inflation but helped the Prussian government fight the war. These two powerful Frankist families were later joined in marriage. Frankist Mayer Arnstein married Theresa Wertheimer, granddaughter of banker and chief rabbi Samson Wertheimer of Austria. Rabbi Wertheimer (1658-1724) was considered to be the wealthiest Jew in Europe between 1694 and 1704. He was financial administrator for emperors Leopold I, Joseph I and Charles VI and supervised their diplomatic missions. This earned him the nickname Judenkaiser, or Jewish Emperor. Arnstein in turn financed the Tyrolese peasant revolt against France and Bavaria. Near the end of his life, Frank lived in Offenbach, just outside Frankfurt. He lived in regal style and maintained a militia. He died in Offenbach on August 10, 1791, having settled there in 1786. When the Frankists established themselves in 1786 in the Frankfurt suburb of Offenbach, they were patronized by “unidentified philanthropists” of the Frankfurt community. But during the Frankfurt Masonic Lodge’s formative years, the three most active members of the Frankfurt Judenloge were Frankist-influenced: Sigmund Geisenheimer, Michael Hess (1782-1860) and Justus Hiller, who were also leaders in the liberal Jewish Reformist movement. Michael Hess was hired by Mayer Amschel Rothschild (1744-1812) as a tutor for his children. Geisenheimer was Mayer Rothschild’s head clerk. Thus the spirit and mentality of Frankism received a large boost from the richest family in Europe. Incidentally, 29 of 58 of Mayer Amschel Rothschild’s grandchildren married first or second cousins. Last Edit: 08 Jul 2017 12:54 by PFIZIPFEI. This book is mostly about Jews; it is not against the Jews. These painstaking researches have been made in order to rewrite-history "with conscience;"
as Lamartine urged, as Washington Irving admonished. The results are presented to the thinking public to enlarge its intelligence, not its prejudice. than the other according to the point of contemplation. that is greatest among you shall be your servant." (St. Matthew). people to Novgorod, where he founded a dynasty and gave Russia its name. Human Nature can be changed; and, what is more: Human Nature must be changed." And, how may it be changed? simple thesis being misunderstood on opposite sides." reader set them, firmly, in the diadem of his deeds. "A man shall come from the North to save civilization." Is that man Cherep-Spiridovich? Who knows? Read his book and the world will never again seem the same to you. This and many other old books were made widely available by Darryl Bradford Smith a decade ago or more. He of course took down his site last year under pressure from the (((French))) authorities. Do you agree with what I posted? I found it insightful, as were most of the books DBS put out. It's been some time since I read it TBH so can't comment on specifics. I get the picture, though. I have not read the book, however in reply to the thrust of this post. What has been happening to our folk has been going on for thousands of years, our thinking because of the inveiglement is not going to be clear, the corruption we have to see has already infected us, thus I think even the best of us are going to have notions which are corrupted. For me christianity is one such corruption, but that does not mean a person who identifies as christian, has not got an element of the truth that I may not have seen. As long as we centre ourselves on who we are, and we have integrity, then we can start learning. I have often learnt truth from being able to dissect a lie others have tried to throw at me. I am not in the position to read the book now, but it is in my view by tracing through the sort of threads these sort of writings expose that we may get to a solid platform. I will take your recommendation, and when I get some time, I will give it my attention. in response to what I said, jonb! Last Edit: 10 Jul 2017 12:26 by PFIZIPFEI. What is "the picture" that both of you got? I remember I really liked the extensive approach, especially in time, going way back to the 17th and 18th centuries. And yes, the strong Christian stance put me off quite a bit, but considering the timing of the book, published just 9 years after the anti-christian jewish marxist movement in Spiridovich's Russia, it is understandable. I have the pdf at home, where I won't be for the next 3 weeks, so thanks for the pdf link, I have some friends who I want to point to this book that helped me in awakening and hopefully them too. “If the key opens the door it is the right key”. This book BOILS EVERYTHING DOWN TO THE ESSENCE!! "Read this book and the World will never again seem the same".